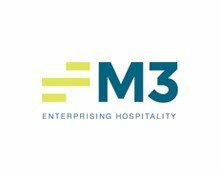 M3 is the national leader in hotel-specific accounting software, operations reporting, business intelligence and analytics, processing more than $21 billion in financial transactions for more than 4,500 properties. M3’s integrated suite of hospitality accounting products is designed to provide hotel operators, owners and managers unsurpassed access to the information they need in the most integrated and cost-effective manner. WebRezPro PMS integrates with M3’s Accounting Core® product.